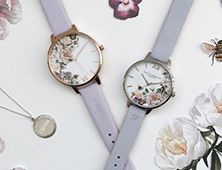 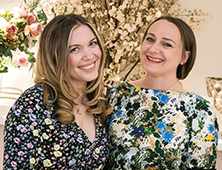 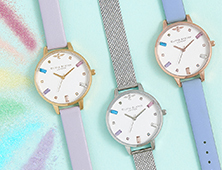 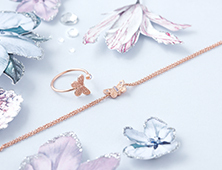 Our Signature Floral designs have become synonymous with the Olivia Burton brand. 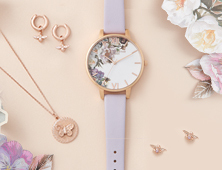 Blending anemones, peonies and butterflies, this 38mm-wide big dial design makes an elegant, feminine investment. 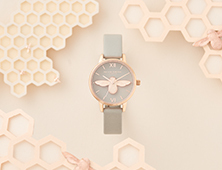 The piece features a rose gold-plated case and strap, tapping into a luxurious mood. 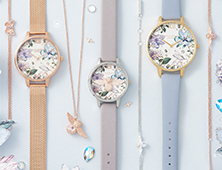 Use it to make the perfect summer statement or to brighten your look when winter calls.